Did the Boston Police really arrest Igor Stravinsky in 1943 for adding a dominant seventh chord to the Star Spangled Banner? The unlikely mug shot, above, seems to back up the story…until you look carefully at the date. desire to do my bit in these grievous times toward fostering and preserving the spirit of patriotism in this country. After the first performance, the audience was apparently shocked by what they considered to be an unconventional harmonization. 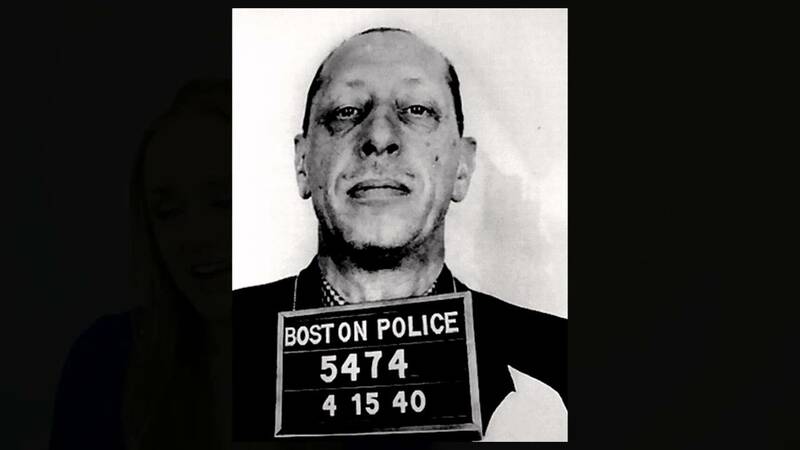 The Boston Police, misinterpreting a Federal law prohibiting “tampering” with the National Anthem, told Stravinsky that he had to remove his arrangement from the remaining programs. Reluctantly, he conceded. With the benefit of hindsight, and years of garishly over-embellished ballpark vocal renditions, Stravinsky’s Star Spangled Banner doesn’t sound so bad. This is the National Anthem through the ears of an immigrant. Its bass line and inner voices suggest a hint of “Great Gate of Kiev” Russian weight. There’s some interesting, unorthodox modernist voice leading that might vaguely remind you of Stravinsky’s Pulcinella. You’ll hear the shocking seventh chord at the end, at the 1:30 mark. I’d like to see any 21st century cop identify a 9th chord, period. It don’t sound right to me. You’re under arrest. Thanks to. Supreme Court ruling a few months ago, cops can arrest you for a non crime bevause they’re ‘mistaken’ about the law and suffer no repercussions over it. Ok, but those “errant”notes from the lower scale horns just sound like “clinkers” to me >Ane , BTW in Eastwood’s movie “Bird”, Igor live in Beverly Hills! Cop here, music major back in college. I know what a major 9 chord sounds like. Would be nice to have a 48 star flag to accurately represent the year 1943. There are 48 stars on that flag. No, actually there are not.There are 50–5 rows containing 6 stars and 4 containing 5 stars (30+20). The 48-star pattern had a rectangular appearance–six rows with eight stars in each row. Not actually a 9th chord but a V7/IV (read: five-seven of four). The recording is in the rather common key of Bb major for our national anthem. The chord in question is so jarring because of the addition of an Ab (a lowered 7th scale degree) to a Bb major chord that we would otherwise have perceived, and are used to perceiving, as an arrival to the tonic or “home” chord. The Ab causes tension and direction towards a foreign, albeit closely related key, but as composers are wont to do, the shift in tonality is only temporary and we find ourselves comfortably back in the key of Bb by the final chord. By the heading of the article I was expecting to hear an added C to the final Bb chord, so I was confused when no such chord made an appearance. A closer listen revealed a much different but equally intruiguing harmonic “surprise”. What I found most jarring was not the harmony, but the melody’s dotted eighth to sixteenth military sharpness. Our modern version always perform it with a lilting, tripleted, quarter to eighth, ‘daahh dat dah’ swing. Only sloppy musicians perform it as a triplet. When music is notated with a dotted eighth followed by a sixteenth, it should be rendered rhythmically as the notation indicates, with a 3-to-1, not a 2-to-1, rhythmic relationship. Neither, it’s a *dominant* 7th. That’s not a 9th chord at 1:30, where the word “land” would be. That’s a tonic (V of IV) Bb dominant 7th chord in 1st inversion (D in the bass). A 9th chord would have a C in it. That’s a dominant 7th chord at 1:30, not a ninth. It’s a dominant 7th relative to the subdominant, not to the tonic. In other words, a V7 of IV. Indeed it is an unexpected dominant 7th chord, not a 9th chord. Thank you to all who caught that mistake. Well, it starts as a dominant 7th chord, but it DOES actually turn into a 9th chord – for one note. On the second half of the word “LAND” in “land of the free,” we hear a Bb chord with the flatted 7th and the 9th. There have been variants of the Star-Spangled Banner, especially in recently. It was written in 3/4 time, and I’ve heard other versions in 4/4 time. Does that make it illegal? I see nothing wrong with a composer with the talents of Igor Stravinsky in composing his own version. His Firebird was controversial at first, but became accepted. And so should his version of the Star-Spangled Banner. Contribute something new and creative. Make judgemental comments from the sidelines. sang the pre-game ritual in such an over the top rhythmic way that I could barely identify it as the national anthem. In fact it sounded nothing like the national anthem. However, it was enormously musical. This became a legend and I’ve read stories that no one from the Laker organization could find him before it, he had let himself in a back door and wandered out to the basketball court. Occasionally I will see talk shows with players talking about it. They also responded as I did. His version, at that time and that time only, was an expression of great musical creativity. Don’t have the video but Im sure one is around. There was great enthusiasm for this at the time. And a sizeable part of the commentariat self-righteously offended. Had they thought of the L.A. Police, I’m sure that avenue would have been pursued. As an amateur violinist I was interested in the Star Spangled Banner, in the variety of ways it is expressed. The Marvin Gaye event has to be up there. Maybe close to the police in Paris actually breaking up a party where the composer Cesar Franck played the Marseillaise and as one variation after another came out of his fingers, the noise and energy prompted nearby apartment dwellers to call the police. For a full and well-researched and extensive (126 pages) discussion of Stravinsky’s rendition(s), please see “Stravnsky’s Four Star Spangled Banners” by H. C. Slim (Musical Quarterly 2006, Volume 89, Numbers 2-3). How about the Glenn Gould outtake in which he brilliantly, simultaneously mashes up the Star Spangled Banner with God Save the Queen? Has that ever been performed anywhere else? this does sound a lot more like what is reported to be the ‘original’ setting of the SSB. The only place where I’ve ever heard it was at the Smithsonian’s exhibit which accompanies the original flag. There was also the performance by José Feliciano at game 5 of the 1968 World Series (St. Louis Cardinals and the Detroit Tigers). No police action, but news directors at several TV stations had fits when they found out their news crews had filmed the first pitch and the scoring, but had ignored the National Anthem. Pretty awesome arrangement — esp on the “Rockets’ red glare” section. I actually love the “bomb-drop” of the dominant seventh itself, but I think he kind of got lazy as to how to dig himself out of it — I think if he’d fully embraced it and did some good ol’ Yankee 3-6-2-5-ey goodness to bring it back home the cops may not have roughed him up so much. 🙂 Having said that, the cat who wrote “The Rite Of Spring” can do whatever the hell he wants. Is it the chord Jimmy Durante was looking for? I enjoyed this enhance arrangement and the Russian flavorings over the standard ho-hum fare. This is so creative and refreshing and actually draws the listener in, despite a somewhat slower tempo. Thus, you have time to appreciate the unexpected textures and nuances, especially the woodwind parts at 0:53. And of course the whopping chords at 1:30 and 1:34. Stravinsky was a genius not only to create this, but also to recognize the potential for such an anthem. I wonder if they play this in Russia on occasion? It would be awesome playing this at the Olympics. If I’m not mistaken . . . J.S. Bach was ? imprisoned ? detained ? for several weeks, I believe around 1717 or ’18. (I used to know this info, but my memory has gotten rusty.) I think he was leaving his Weimar court position to take a better-paying job at Anhalt-Cothen; and, he was technically trying to get out of his contract a little bit early. So, the authorities “detained” him. (Some composers have a wonderful tradition with the authorities.) I’d like to hear Bach’s harmonization of our National Anthem . . . ! He knew how to write fancy 7th and 9th chords. Actually its a third inversion dominant seventh (V7d) that caused the problem. I was more upset by the doubled leading note much earlier on. Still an interesting take on a well know tune. He did the same for Happy Birthday but they wouldn’t arrest you on your birthday now, would they? In his many chorales, Bach anticipated everything that would happen harmonically in Western music for nearly the next two centuries, up through and including Wagner and Schoenberg (before Schoenberg entered his 12-tone phase_. Pingback: Shorties: The Reawakening – Bridget Magnus and the World as Seen from 4'11"
Classical music’s original punk rocker. Well, color me stupid… I didn’t find anything unusual at all; sounded great to me. Thank you for bringing up Jimi Hendrix, David. This interpretation surely moves into the territory of political protest. An interesting comparison might be Alfred Schnittke’s rather shocking treatment of “Silent Night,” which I included in an earlier post, The Joy of Wrong Notes. I was just about to mention that. I’m guessing that the law mentioned in the article has since been repealed. Great story and I enjoyed reading the comments. But I’ve got to add my own personal favorite Star Spangled Banner to the mix here. It’s a generational thing. G. Schirmer has the orchestra version available for rental. As usual, Boston police with nothing else better to do, and more time on their hands than they need. They should have spent more time going after criminals than letting morons with tin ears loose with a badge. If only that Ab note went to a G on that climactic fermata chord, then chromatically climb down two steps to F.
This has got to be the most passionate yet civil discussion I’ve ever read on the Internet. I may not understand your musical opinions, but I’ll defend to my death your right to express them! Not what I was expecting at all, from the master. Sounds godawful to me, what’s wrong with “normal” harmony? I did a marching band arrangement and played it at football and basketball games for years at Butler University. Also did it up for brass choir and gave it to the Indianapolis Brass Choir. The cover of the sheet music specifically states anyone can use it free of charge. Stravinsky wrote it as a gift. Could you e-mail me at jeangould56@gmail.com? I would love to get a copy of your band transcription. Glad to buy it, whatever.